In the spring of 2003, independent film maker Robert Greenwald approached me about participating in a documentary he was working on regarding the march to war in Iraq. I agreed--and became one of dozens of intelligence, foreign policy, and political experts interviewed for what became Uncovered: The War On Iraq. 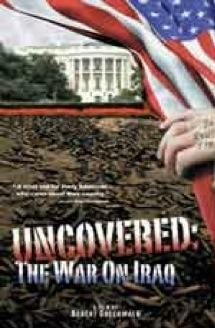 If you want to get the most comprehensive account on film of how our nation was misled into the Iraq quagmire, look no further.